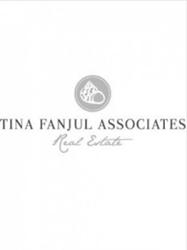 Haute Residence welcomes acclaimed real estate company Tina Fanjul Associates to its invitation-only real estate network. As a Haute Residence partner, Tina Fanjul Associates exclusively represent the high-end real estate market in Palm Beach/West Palm Beach. Located along the Atlantic coastline, Palm Beach and the surrounding area is not only a premier seasonal destination, but the extraordinary year-round climate attracts home buyers, seasonal renters and real estate investors.